“In 2009…the challenge was ‘find me something to read.’ In 2014, the challenge is, ‘there’s so much to read. '” So said Mark Armstrong of Longreads at around the midpoint of the year, and he was right – the explosion of online content makes “so many books, so little time” sound quaint. My e-reading increased dramatically in 2014, not because I read more ebooks, but because it was easier than ever to discover and consume stuff to read online. In a year of so much internet, so little time, here are my heroes and villains. The New Yorker ate my summer. In July, the magazine temporarily made its entire archive accessible for free, hoping that readers smitten with its lengthy and lovingly-edited articles would pay for subscriptions once the paywall was reinstated. I scoured the top article roundups, set out to read all I could, and ended up immersed in writing about crime, justice, dogs, cats, real estate, language, the nervous system, mental illness, and Lucinda Williams (to name just a few highlights). So now that the paywall is back up, have I subscribed? Well, no – if only because I still have so many other things to read. But it would be difficult to argue that the source of some of my year’s most memorable reading experiences is not worth paying for. The Readability app was the enabler of my New Yorker binge and perhaps the most indispensable hero of my year. Every TTC delay, every customer service lineup, every medical waiting room was bearable, thanks to the little repository of escapism on my phone. And the onslaught of new material surging up in my browser felt more manageable each time I clicked the “Read Later” icon to file bits of it away. 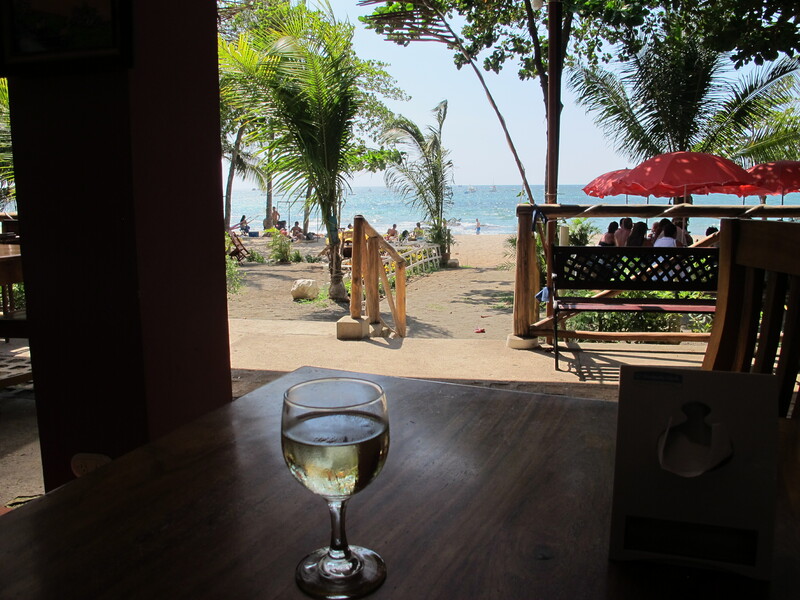 Cheers to the bringers of buoyant LOLs in the sea of outrage that was the internet in 2014. A 10,000-word New Yorker essay isn’t always the ticket at the end of a long day – sometimes, you want to turn to the latest installment in The Toast’s “Dirtbag” series, or enjoy Clickhole’s knack for being Buzzfeed on acid. No, it’s not a euphemism for imminent vomiting: “Ugh, I need to clear my cookies!” means an ad for some product I looked at is now following me around to other websites. What a great retail strategy – the moment I click for more details of an unfolding tragedy is exactly when you should remind me that I spent a chunk of my precious remaining life in this world dithering over which rice cooker to buy. Retargeting is just one of the many intrusive advertising practices (autoplay video, I’m looking at you too!) that some have argued are partly responsible for the web’s decline. I don’t have any solutions to the problem of how publishers can make money online, but infuriating your readers isn’t likely to be the answer. It’s almost 2015. This ebook thing seems like it might be more than a fad. No need to hire an expensive change management consultant, publishers – here’s some free strategic advice: you must learn how to format manuscripts for electronic consumption. Some critics are irked by Donna Tartt’s inconsistent references to technology in The Goldfinch (she grants her protagonist an iPhone in one chapter, then strains plausibility by cutting off his Internet access for the multi-year span of another plot arc). Awkward? Maybe, although for me at least, the story was rewarding enough to make the effort of suspending disbelief worthwhile. But if you’re looking for a fictional universe where the Internet is a central concern, not just a plot device, here are a couple of recent novels of interest. She finds the door wide open and the place empty, another failed dotcom joining the officescape of the time – tarnished metallic surfaces, shaggy gray soundproofing, Steelcase screens and Herman Miller workpods – already beginning to decompose, littered, dust gathering . . . Well, almost empty. From some distant cubicle comes a tinny electronic melody Maxine recognizes as “Korobushka,” the anthem of nineties workplace fecklessness, playing faster and faster and accompanied by screams of anxiety. Ghost vendor indeed. Has she entered some supernatural timewarp where the shades of office layabouts continue to waste uncountable person-hours playing Tetris? Between that and Solitaire for Windows, no wonder the tech sector tanked. When the program is loaded, there is no main page, no music score, only a sound ambience, growing slowly louder, that Maxine recognizes from a thousand train and bus stations and airports, and the smoothly cross-dawning image of an interior whose detail, for a moment breathtakingly, is far in advance of anything she’s seen on the gaming platforms Ziggy and his friends tend to use, flaring beyond the basic videogame brown of the time into the full color spectrum of very early morning, polygons finely smoothed to all but continuous curves, the rendering, modeling, and shadows, blending and blur, handled elegantly, even with…could you call it genius? Making Final Fantasy X, anyway, look like an Etch A Sketch. A framed lucid dream, it approaches, and wraps Maxine, and strangely without panic she submits. 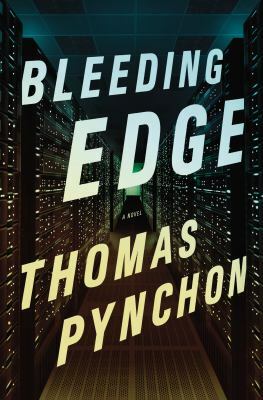 Pynchon waxes ironic about the decline of reading (Maxine to her son, on the subject of a thumb drive loaded with documents: “And now your friends have seen it before I have.” “They … uh, they don’t read that much, Mom. Nothing personal. A generational thing.”) and the Internet’s failure to live up to its promise (“Look at it, every day more lusers than users, keyboards and screens turning into nothin but portals to Web sites for what the Management wants everybody addicted to, shopping, gaming, jerking off, streaming endless garbage–“), but the novel’s conclusion seems to imply at least a precarious hope for the future of art, technology, and humans in general. DeepArcher eludes the clutches of sinister commercial/government interests by going open source and evolves into a kind of digital afterlife, where both the novel’s murdered characters and pre-9/11 New York City live on. One character speculates: “Could be there’s enough good hackers around interested in fighting back. Outlaws who’ll work for free, show no mercy for anybody who tries to use the Net for evil purposes.” We can only hope. 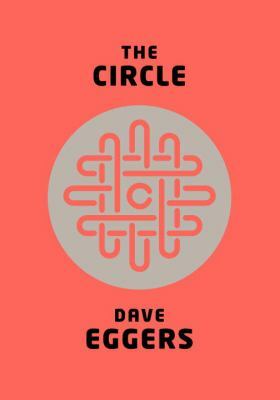 More bluntly pessimistic is Dave Eggers’ The Circle, an Orwellian satire about the end of personal privacy in the age of social networks, location-aware devices, ubiquitous cameras, and uninterrupted connectivity. The Circle tells the story of Mae, a naïve new recruit at an all-powerful tech monopoly (think Google merged with Facebook and Apple) who rises rapidly from true believer in the corporate culture of mandatory “sharing” to 24/7 exposure as a reality-TV-style online celebrity. Eggers might have benefited from some of Orwell’s conciseness – where Animal Farm eviscerates Soviet Marxism in a hundred and fifty pages, The Circle takes nearly five hundred to dole out its verdict on Facebook et al. Maybe the warning has come too late for me and I’ve already weakened my attention span with too much screen time, but even before the novel’s halfway point, I was all, like, yeah, we’re happily signing over our freedom to a corporate-run surveillance state. Yadda, yadda, yadda. tl;dr.
Mae admitted she hadn’t been, but wanted to be. Mae wasn’t so sure about the name, and couldn’t remember a holiday by that name. It’s enough to make you hope the future turns out to be a bit more anarchic, mysterious, fragmented, Pynchonian. I thought it might be interesting to document how I’m currently using technology in my personal life. I’m not sure I’m representative of any larger trends, but one theme that emerges as I reflect on my year is probably true for many people: there is an overwhelming volume of content and number of devices competing for my attention, and I am ruthlessly ignoring anything that requires too much effort on my part. Lazy web, c’est moi. Both at home and at work, I move seamlessly between Mac and PC. The distinctions between the two seem less and less important – after all, so much of what I do is now browser-based. I upgraded from an iPhone 3GS to an iPhone 5 this year, and I must say, I love the phone, despite a few annoyances with iOS7. As with my desktop/laptop use, the browser is central: most apps still seem to be more trouble than they’re worth; I could count the number of apps I actually use on the fingers of one hand. I continue to find Facebook boring and unrewarding, but (like many people, I suspect) I find myself locked into it as a way of communicating with a subset of people in my life. In 2013, I went down to weekly FB logins and shared less than I had in previous years. My love affair with Twitter continues: it is personalized, relevant, convenient – my sun, my moon, my stars, etc. etc. I access it throughout the day every day for both leisure and professional purposes. I use its direct messaging to communicate. It’s the third thing I look at every morning (after email and the weather forecast) and the last thing I check before bed every night. I use Goodreads regularly, but more as a way to keep track of my personal reading than as a social or discovery platform. I read more ebooks in 2013, but print is still a big part of my life. The Retina display on my new phone has made ereading more enjoyable, and usability improvements to the library’s ebook service, as well as a wider range of available titles, have led me to borrow ebooks more frequently. My main concern with ereading continues to be quality-control issues with the content: poor layout, garbled special characters, occasional duplication or omission of chunks of text. Until these quality issues are worked out, ebooks won’t be my first choice for the reading I really care about. I was reminded of one of the small pleasures of print books while reading Donna Tartt’s The Goldfinch. As I carried my hardcover library copy everywhere with me in December, racing to finish reading all 771 pages by the due date, I found myself connecting with other public transit passengers who were reading or planning to read the book. Smiles and nods and brief conversations — “How are you finding it?”; “I’m hoping to read it over the holidays”; “I loved The Secret History“; and so on — this is an experience you just can’t have with ebooks. 2013 was the year all the major Toronto newspapers went behind paywalls. I figured I would just get into the habit of clearing my cookies and continue reading them as usual, but instead, my behaviour changed in a way I wasn’t expecting: I now find myself hesitating to click links on the news sites’ homepages – I’m taking a second to think about whether or not I really want to read a particular article, and most of the time, I decide I can’t be bothered even though I know perfectly well how to get around the paywall if I need to. I’m reading significantly less content from the major newspapers than I did a year ago. I feel badly about this (I had promised myself that if I was clearing a particular site’s cookies too often, I would consider a subscription), but it seems I’ll avail myself of any excuse to winnow down the queue of things to be read. So how am I consuming news? Twitter has become my go-to source for breaking news. I get my in-depth journalism from The New York Times, The New Yorker, The Guardian, Wired, Slate, and dozens of other sources (thank you, @longform!) and use Readability (one exception to my rule about the general uselessness of apps) to save articles to my phone. I gave digital replica magazines a whirl this year when the library introduced the Zinio magazine service, but they failed to set my world on fire. Flipping through glossy photo spreads is OK, but the reading experience just isn’t that great. Apparently I’m not alone in this conclusion. In music, this was the year of Songza for me. The curated playlists are amazing: the perfect way for the lazy/time-strapped listener to discover new music. TV’s share of my leisure time continued its long decline. I discovered the handy workaround of VPNs that let you access geo-restricted content, but it still feels like too much work to get the shows I want when I want them. I watched the latest (disappointing) season of Mad Men, kept up with the entertaining silliness of Downton Abbey, and enjoyed the bizarre and memorable Top of the Lake – but that’s about it. My mind is still buzzing from four days at IxDA’s Interaction 13 conference, a big gathering of design and user experience professionals that happened to be in Toronto this year. 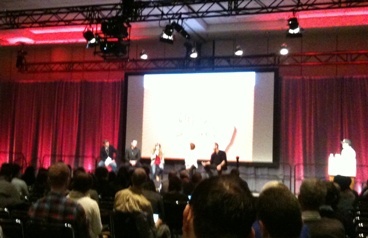 The Great UX Debate took place on Thursday morning, and here I am on Sunday, still debating in my head. I think the debate is sticking with me because the panelists didn’t quite manage to articulate some of my concerns with the issues under discussion. Here’s what’s lingering in my mind for each of the three debate topics. As designers, are we responsible for the effects we have on people’s behaviors from the things we create? I would have loved to hear a discussion of this question at a much more micro (and practical) level. How should designers respond when asked to use their skills for EVIL – i.e. to drive behaviour that may benefit the business but is not in the best interest of the users? The example I had in mind was this: you’re the interaction designer for a web platform that wants its users to stay logged in, so your boss tells you to make it harder to find the Sign Out link. What’s your responsibility (to your employer, to your users), and how should you handle the situation? To me, this would have been a much more interesting and relevant topic for debate, and would also have reflected a humbler and more realistic view of the role of designers in the world. Can we really create “connected experiences” across so many devices & networks, or is it just a fool’s errand? This didn’t ignite much debate among the panelists. Everyone’s response was: we can do it, we must do it, and if you don’t do it, panelist Angel Anderson is “going to eat your lunch.” The most interesting comment came from an audience member who tried to explain why some in the audience had raised their hands to vote for the “fool’s errand” side. (I didn’t catch her name, and I had some initial trouble hearing her, so I’m not sure where she works. (Was it government? Anyone know?) She was speaking on behalf of those of us who work inside large organizations, where user experience is not central to the culture, the pace of change is slow, legacy systems add complexity, and our work brings us up against wicked problems. While I appreciated the ambition and confidence of the panelists, I was glad to hear a reality check from someone who, like me, has basic unsolved problems that put “the connected experience” out of reach for now. Which do you believe most? 1. Stakeholders need to slow down. 2. UXers needs to speed up. Again, the panelists were unanimous: of course UXers need to speed up, because the pace of change isn’t slowing down. In this case, I think the question didn’t quite succeed in framing the real problem. In my experience, design and development teams struggle with stakeholders who fail to think strategically – who either hop from trend to trend (“We need podcasts.” “Forget podcasts, we need to be on Pinterest.”) or who choose to ignore a major shift until the organization finds itself in crisis and has to scramble to catch up. Again, the most insightful comment came from an audience member, who pointed out that what often makes the UX process slow is the need for research – and the reason we have to do so much research is that we haven’t managed to sell ourselves as professionals who can make recommendations based on our experience. We could work more quickly if we could convince stakeholders to trust our judgement and (in some cases) to let us lead. Overall, the debate crystallized a feeling I had throughout the conference about the gap between the designers who work for cutting-edge companies or elite agencies and the rest of us. The William Gibson quote about the future being unevenly distributed came up in several conference presentations, and I think it applies to the design field as well as to the broader world. 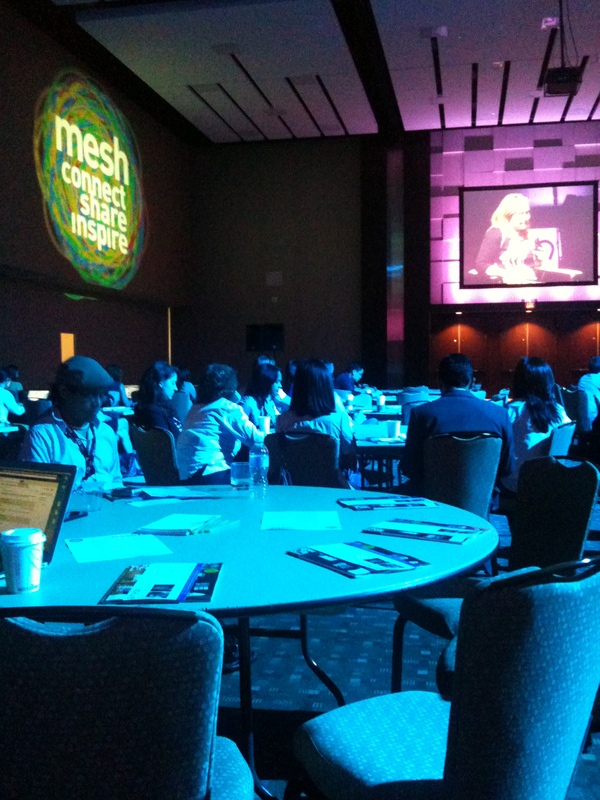 Part of the value of attending a conference like Interaction 13 is the opportunity to catch a glimpse of the near future. Now I just have to figure out how to get there. 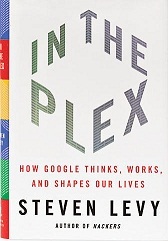 After finishing Douglas Edwards’s I’m Feeling Lucky, I continued my reading about Google with Steven Levy’s In the Plex: How Google Thinks, Works, and Shapes Our Lives. In the Plex is longer and more in-depth than I’m Feeling Lucky, and the tone is more critical. Where Edwards focused on the early years, culminating in Google’s triumphant initial public offering in 2004, Levy’s book takes Google up to the present day, describing conflicts with privacy advocates, anti-trust investigations, the moral grey area of Google’s operations in China, and the challenges of sustaining a culture of innovation in a large corporation. Levy benefited from an unusual degree of access, including interviews with hundreds of Google employees and opportunities to attend internal meetings over a two-year period. The best parts of the book reveal exactly what the subtitle promises: how Google thinks and works. I was intrigued by an anecdote about Google’s longtime UI designer Marissa Mayer critiquing a product redesign. Trying to explain why she didn’t like the design, she summed up the essence of Google’s style: “It looks like a human was involved in choosing what went where… It looks too editorialized. Google products are machine-driven. They’re created by machines. And that is what makes us powerful. That’s what makes our products great.” Google’s look and feel are intended to convey the neutral efficiency of the products; its design is shaped by data and testing, not by any individual’s aesthetic or agenda. “Oddly, whereas Google had built its data infrastructure to reroute around failure, it had no human infrastructure to deal with failed projects. ‘We didn’t know which ones they were, because we never paused to ask ourselves that question,’ says Pichette. The array of different Google products in beta at any given time – some of them overlapping or competing with each other – seems to bear out this observation. Katie Stanton, one of the former Googlers, lamented: “Working in government is like running a marathon. Blindfolded. Wearing sandbags.” The truth of that statement sums up why I remain so fascinated with Google: despite its problems, Google still seems to represent a better way of working and a model for those of us who would like to leave our blindfolds and sandbags behind.